Patrick Hockey came from a grazing background, having grown up on Abercorn near Eidsvold in the Burnett district, where many earlier owners of Nindooinbah had taken up stations. Hockey became a well-known artist, whose work is featured in major public collections in Australia and overseas and in private collections such as those of the Prince of Wales, the Duke of Edinburgh and Margaret Rockefeller. 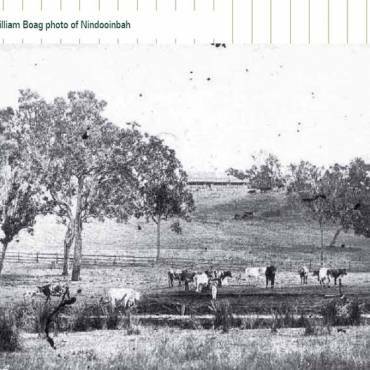 Patrick Hockey’s work reflected his upbringing on a grazing property. He painted herds of cattle, cattle sales, drovers, country racetracks, water tanks, windmills, miners, outback landscapes and bush people, always with a great sense of humour. Later in his career, Hockey moved more towards painting interiors and flowers and, at Nindooinbah, painted several interiors, as well as the gardens, the flowers and the pet Dalmatians.51The tomb of one of many Dalmatians who have lived at Nindooinbah through the decades is located just inside the eastern garden fence. Patrick Hockey lived for many years in Sydney’s fashionable eastern suburbs and was well-known for lavish entertaining many celebrities in the world of the arts from films to painting. In this sense, he was an ‘urban’ person. Nevertheless, Hockey retained interests in the Burnett region where he bred Santa Gertrudis cattle. 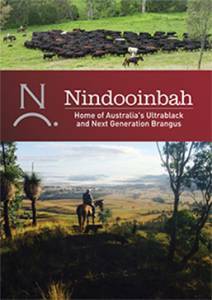 He was the first Nindooinbah resident owner to combine distinctly urban values with more traditional rural pursuits. 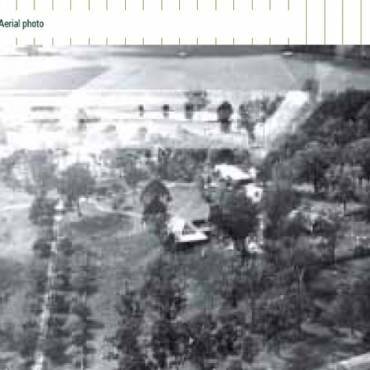 At Nindooinbah, the Hockey era marked an ‘opening’ of Nindooinbah, once a very private world limited to extended families and their guests, to wide publicity in newspapers and popular home journals and to broader community causes. As in Sydney, Hockey entertained many celebrities at Nindooinbah. This era marked a distinct change: many long-standing employees, such as the nurse-governess, Lucy Morgan, left Nindooinbah almost as soon as Patrick Hockey arrived. Patrick Hockey described the house as ‘very dilapidated’ when he arrived in 1983, which differs from the view of the 1981 valuer. His arrival marked changes in the house, particularly altered usage of some of the rooms, and extensive re-development of the gardens. Patrick and Margaret Hockey used the main bedroom for the first time since Mrs Collins death in 1962. The original wallpaper below the frieze was removed and replaced with pink paper and the lower portion of the frieze was filled in with black paint. A doorway next to the bed, which Margaret Hockey described as remaining under the wallpaper, had been blocked up earlier than the Hockey era, as shown in a photograph of the room taken before Gwendoline Collins died. Patrick Hockey said the Ensuite bathroom was refurbished in ‘original style’, but the wine red curtains installed by Mrs Collins and shown in a 1970s photograph, were removed. Furnishings and decorations in the main bedroom and drawing room and on the verandahs were much more flamboyant in the Hockey era. In an interview in 1987, Hockey said that he intentionally recreated the ‘cluttered’ décor of Edwardian era, using lots of ornaments as well as palms and other plants in jardinières, including large majolica vessels said to have been purchased by William and Gwendoline in Spain during their honeymoon world tour in 1900. The Persse wedding presents from 1938 were unwrapped and used in the ‘Edwardian décor’. 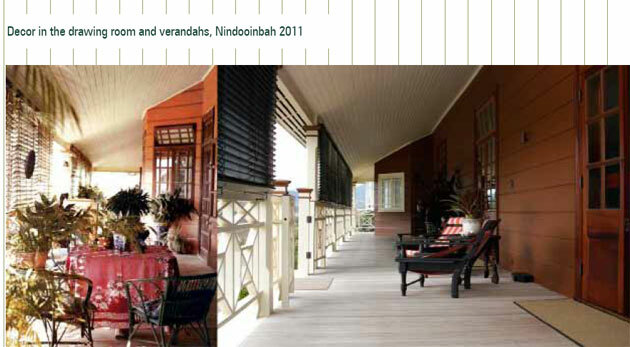 The verandahs were furnished with colourful tables, chairs and plants in pots. A chandelier added to the drawing room. The gardens were extensively redeveloped. A tea house drawing on Japanese design and a new pond were constructed to the south-east of the house, new bush houses were built and a new circular garden was installed in line with the main entry to the house on the western side. Although Hockey said he used the original garden design and ‘embellished’ it, the new elements, which included large Tipuana trees on the front lawn at either end of the verandah, the removal of the tennis pavilion and tennis court fence, the new garden and fountain on the western side, and the teahouse and pond could be considered to be more extensive than ‘embellishments’. However, the gardens inside the fence line on the eastern side were replanted with longer lived plants than the annuals favoured by Mrs Collins. Many more rose bushes were added in the Hockey era, although the hybrid tea rose ‘Gwendoline Collins’ created by Alistair Clarke in her honour in 1937 does not appear to have been planted. The Hockey gardens included statuary, including an Italian statue at the eastern end of the tennis court with a curious representation of a kangaroo appearing more like a dog, which Margaret Hockey named ‘Blue the kangaroo’. The Hockey’s continued grazing activities. In 1990, 200 acres were planted with sorghum and soya beans grown by dry land farming methods. Patrick Hockey died in 1992. After his death, Margaret Hockey continued to live at Nindooinbah and contributed to many community and environmental causes for which she received the OAM in 2000. Her private entertaining at Nindooinbah reverted to more traditional ways with a strong emphasis on family and long-standing friends. 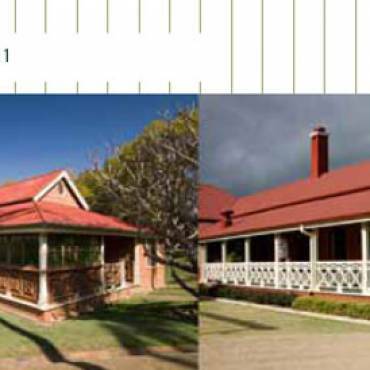 The main development to the property in this era was refurbishment and stabilisation of the woolshed, although the original battening around the stumps, visible in many photographs, was not restored. The main homestead retained the furnishings installed by Patrick Hockey, and those from earlier eras, and only limited basic maintenance was performed.